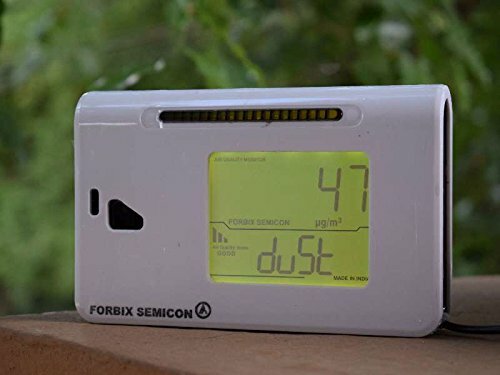 Best Indoor Air Quality Monitors in India: I believe most of us do anything to protect our home & family and there’s nothing more important than personal health. We try to avoid toxins in food, drink pure water and even child proof our homes. 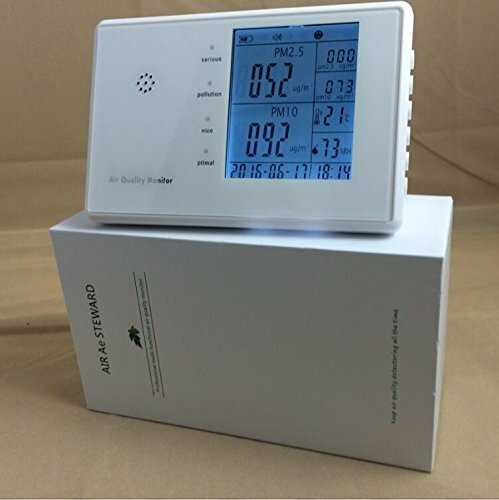 One of the most important aspects of living in large cities in India is to be aware of the air quality around you, having an air quality monitor provides an extra level of safety and comfort at home. These devices also help you to choose the right air purifier depending on the pollution levels in your city. 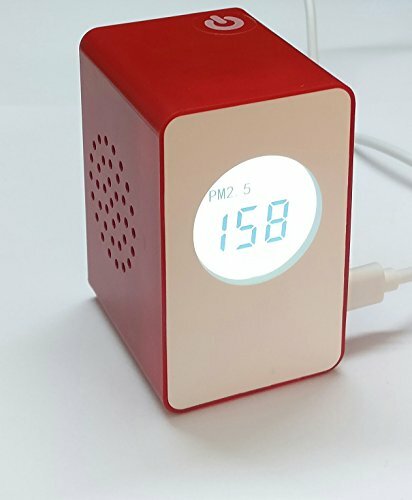 Displays real-time PM2.5 and CO2 (400ppm to 10,000ppm) levels by combining laser technology and artificial intelligence. Also measures temperature (-10⁰C - +40⁰C) and humidity (0-100%) in the air. Designed for medical-grade standards to specially benefit those who suffer from asthma, COPD, lung cancer and high blood pressure. 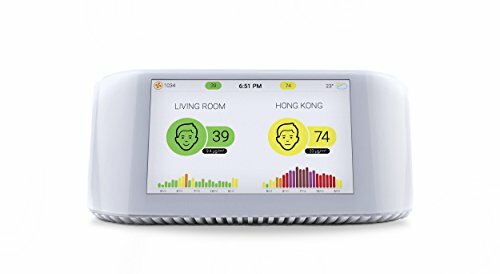 Provides 3-day outdoor air quality forecasts, allowing you and your household to plan your activities for optimized health and wellbeing. Wireless connectivity: 802.11 v/g/n 2.4gHz, configurable directly from the device or from the mobile app. The box includes an outer box slip, box, 1 micro USB to USB cord, 1 power adapter, 1 Node, and 1 user manual. All data recorded while connected to internet is stored in cloud based database..Acompanying iOS & android app "Breathing space" displays data recorded by laser egg and allows access to advanced features such as laser Egg's calibration and exportation data. âœ" ACCURATE, REAL-TIME & PORTABLE: High quality laser sensor, calibrated for Indian conditions against BAM (Beta attenuation Monitor- most advanced system for measuring ambient air quality.) 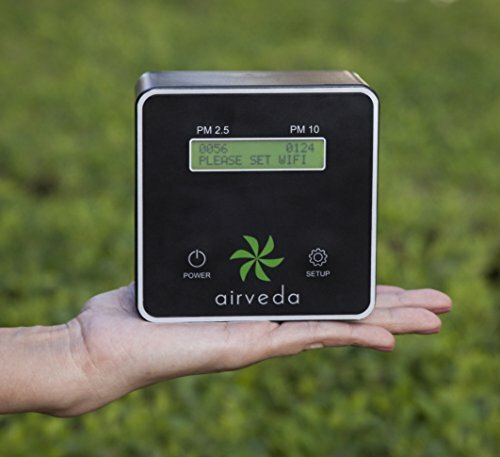 Airveda monitors measure your air quality PM2.5 and PM10 every second so you can understand the air quality where you are, in real-time. The small size and long battery life makes it extremely portable. Can be charged using any USB power outlet in your car, laptop or power bank. âœ" MADE IN INDIA - LOCALLY MANUFACTURED & SERVICED Airveda monitors are completely manufactured in India. Sensors are also calibrated locally to suit Indian conditions. Sensors can be locally re-calibrated as well as replaced easily. Our manufacturing facility has been running for 30 years and is a trusted name in the local industry. âœ" WI-FI & APP-ENABED WITH LOCAL MEMORY FOR INTERNET OUTAGES: Connect to your home, office or personal hotspot Wi-Fi and remotely monitor data and get alerts in Airveda app, available for free on iOS and Android. View current and historic data, understand your exposure over time, as well as compare with outdoor air quality in your city. Monitor stores data locally if no Wi-Fi is available for up-to two days and data is uploaded to server when Wi-Fi becomes available. 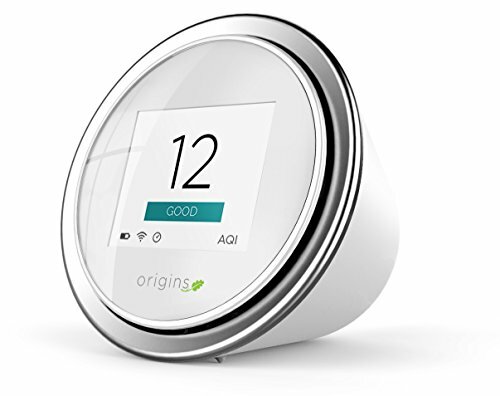 âœ" AIR QUALITY ALERTS - Allows you to configure two limits for PM2.5 and PM10 and will notify you when those limits are exceeded and when the air quality is back within limits, so you can make healthy choices. âœ" EXTENDED LIFE OF SENSORS-The default life of sensors in 1 year. However, a special feature in Airveda monitor allows the sensor to switch on/off at regular intervals to increase the life of the sensor considerably. This interval is configurable and can be configured to once every minute, 5 minutes, 10 minutes and 20 minutes.